The staff at Kegs & Barrels invites you to come in and check out our ever expanding wine collection. We have a wide variety of wines from many regions at many price points. 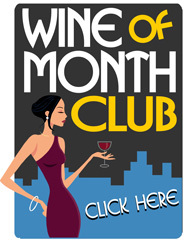 Over 175 wineries are represented with several varietals in each to choose. A sample of the wineries represented in our inventory is listed below. If you are looking for your favorite, or wanting to try something new, we've got it...from cabs, merlots, pinots (noir and grigio), malbecs, desserts, ice wine, ports, cherry wines, plum wines, kosher wines, organic wines, blends, chardonnays, rieslings, champagnes, chenin blancs, sake and more! Come to Kegs & Barrels to satisfy your wine desires. We just might have something new for you to try!